Here is the final art for the jackson poster - it is set up to be a 3 color print. Really stoked on how this one turned out! I thought it could be cool to reference the True Sadness album art with an astronaut riding a horse - also a nice twist on a standard country/americana image. Stylistically this poster would be influenced by antique packaging design, it could be cool to replicate some of the weird printing quirks found on 'em. A big gnarly illustration of a smashed up old muscle car - kind of subverting the expectation of shiny new fast cars on rock posters. I think it could be cool to illustrate this in a looser hand-drawn pen & ink style. 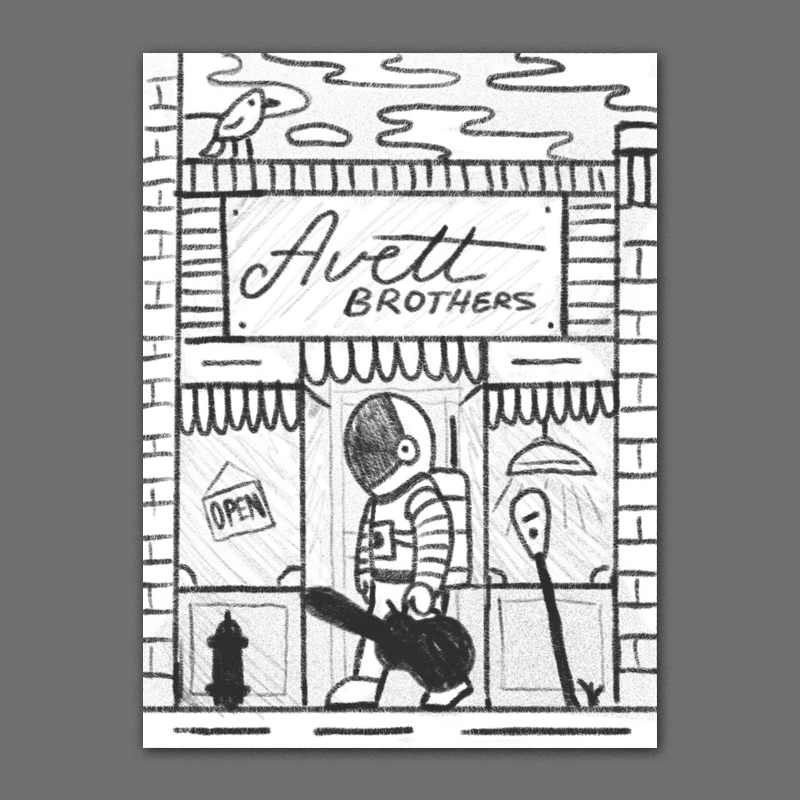 Another astronaut concept - this time he's on the way to his gig walking past a classic Jackson storefront inspired by old juke joints and soul food restaurants.